The LG G2 is an amazing smartphone, it features top of the line hardware like a 5.2” Full HD display, Snapdragon 800 processor, 2GB of RAM, up to 32GB of internal storage, and more interestingly, a 13MP camera with Optical Image Stabilization. The team behind the Korean handset wishes to show the world just how amazing the camera is and what better way than to turn on the video camera, strap it to a balloon, and let it float into space, capturing its entire journey? That was exactly what LG did. After 45 days of preparation, the team received a total of 58 hours worth of filming. 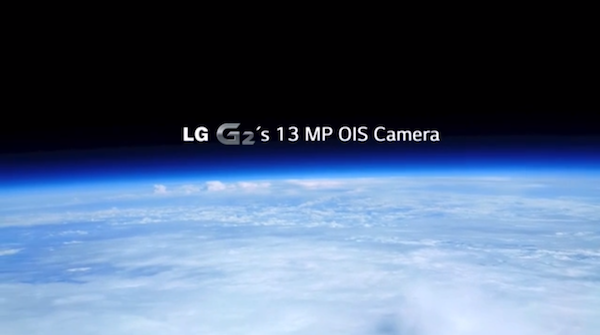 The G2 went through heavy rain conditions, extreme cold conditions reaching -50 degrees Celsius in the stratosphere, and came back with nothing but breathtaking view of earth. Check out the clip below to see just how amazing the space is and to check out just how well the OIS on the G2 worked.